The Proprietor, Punit B. Juneja, has the experience of more than 12 years on litigation and non litigation sides, and is practicing independently at Gujarat High Court and have also handled matters in the Tribunals and Lower Courts. Judgments of public importance are obtained by him and many of them are reported. Punit Juneja is legal adviser on reputed panels including that of Governmental Institutions like Indian Railways, Indian Renewable Energy Development Agency (Govt. of India U.T), and reputed Nationalized Banks - Central Bank of India , Syndicate Bank & Allahabad Bank. Punit Juneja is Affiliated to Bar council of Gujarat and is also member of Gujarat High Court Advocates Association. He is also affiliated to many other respectable organisations. 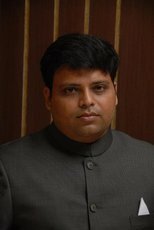 Punit is founder member and trustee of Mahiti Adhikaar Gujarat Pahel and is working actively for the propagation of Right to Information in Gujarat under the auspices of Janpath – Ahmedabad. Punit Juneja has also conducted various trainings on subjects of law including the subject of Right to Information Act, 2005 and have trained the officials of the Prison Department and other Government Departments in the State of Gujarat (SPIPA). He also appears on the National Television as an expert on the subject of the Right To Information and other Legal Issues. Punit Juneja is associated as visiting faculty with Gujarat National Law University (GNLU) and Nirma University – Institute of Law (ILNU). Punit is also member of reputed law libraries and is therefore having access to ample resources for research on legal issues. 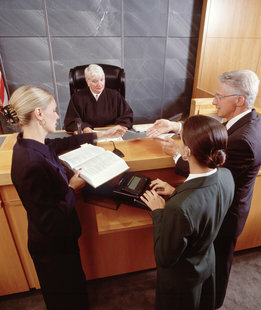 As a Law Firm all our Clients are prestigious to us and therefore we don't specifically name them. We take care of the legal needs of all our clients which includes Government, Semi-Government Institutions; Financial and Insurance Companies; Private Companies as well as Individuals. Viraj D Shah. She is practicing at the High Court of Gujarat for past 7 years and worked with reputed law firm before going independent recently. She is now associated with firm and benefits the clients of the firm with her vast and qualitative experience in litigation side. She is also on the panel of Insurance Companies and other reputed organisations. She also looks after the matters before the other courts and tribunals on behalf of the firm. Manohar Makhija. He is expert in the field of Income Tax and Insurance and is on the panel of reputed insurance companies. He is associated with the firm since more than 5 years. Awadh Chauhan He is in the field of Sales Tax (VAT) Registration and litigation and is associated with the Firm for more than 3 years and is consulting for Taxation matters. He is also offering corporate advisory services for the Sales Tax (VAT). He has expertise in licencing and subsidy procedures as per the textile policy of State and Central Government for promotion of Ginning / Spinning and Weaving industry. Minal Snehi. She is associated as with the firm for past 2 years and is looking after the matters in the Civil Courts, Courts of Metropolitan and Judicial Magistrates and the Special Courts of Metropolitan Magistrates Negotiable Instruments Act. She also looks after the matters before the Tribunal and Commissions. Disclaimer: This website is not and should not in any manner be construed or interpreted as a source or a medium of advertising or solicitation and neither the contents of the website be construed as legal service. The reader should not consider this information to be an invitation for a Client-Attorney relationship. Furthermore, the owner of this website does not wish to represent anyone desiring representation based solely upon viewing this website.